We’re not sure what you have going on today. But our plan for the end of this busy week involves a cocktail. We’re going to sit back, put up our feet and enjoy a refreshing Sour Appltini. Nummmms. 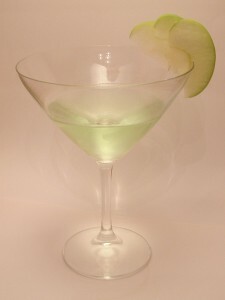 Add vodka, green apple liqeuer and cointreau to a cocktail shaker with ice cubes. Shake and strain into a chilled cocktail glass. Garnish with 3 thin slices of green apple. Cheers and happy weekend from Madtini!